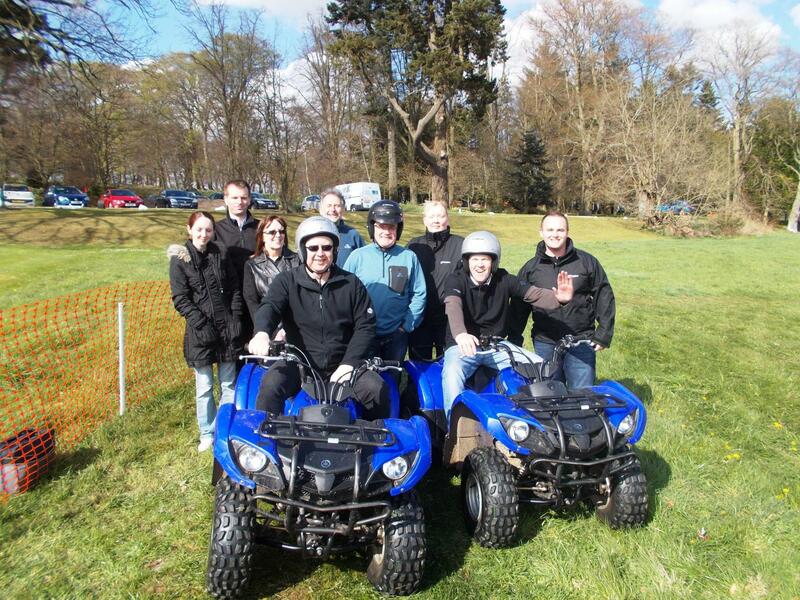 You couldn't have picked a nicer day to have Country Pursuit Activities at Thainstone House Hotel with the group from GE Oil & Gas. After a long and productive morning of meetings the group were welcomed and briefed on the afternoons events. Once briefed we split the group into 2 teams- Passion Flower and No Faffing. The first round of Country Pursuit activities was Axe Throwing and Blind 4x4 Driving, on the Blind 4x4 Driving there was some Sebastian Loeb racing round the track with the aid of their co- driver but Gill "what the heck she was up to" - I don't know almost crashing into the only tree in the field. On the County Pursuits activity of Axe throwing it was a great to see everyone apart from poor Tim hitting the score board and Gerry just peaking too early hitting in practice but not hitting any on the competition - "unlucky" but his team Passion Flower stayed focused and together won the round and picked up 1000 points for the team . The second round of Country Pursuits involved Archery and Quad Biking, both teams must have been watching Robin Hood the night before as they were asking to get the apple out but we did one better and got balloons, both teams hitting 2 balloons each but the team getting the most points in the first round was No Faffing-" Top Darts ". So the scores are looking close in the final stages. On the quad bikes it was time to get the F1 head on and start buzzing round the track but sadly it was just for fun and there were only points to grab. 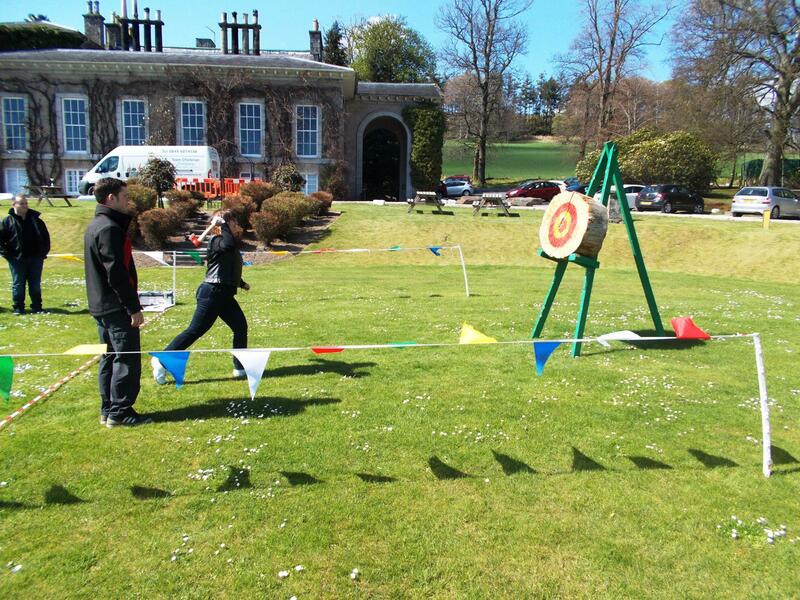 Last chance to get points was the popular Country Pursuits activity, Laser Clay Pigeon shooting with both teams lined up guns in hand let's see who was going to take the win and get points and boost their team to victory. The scores are in but ... sad to say in last place for the Country Pursuits; goes to No Faffing with a respectable score of 1812 points unlucky but a solid performance throughout the day. 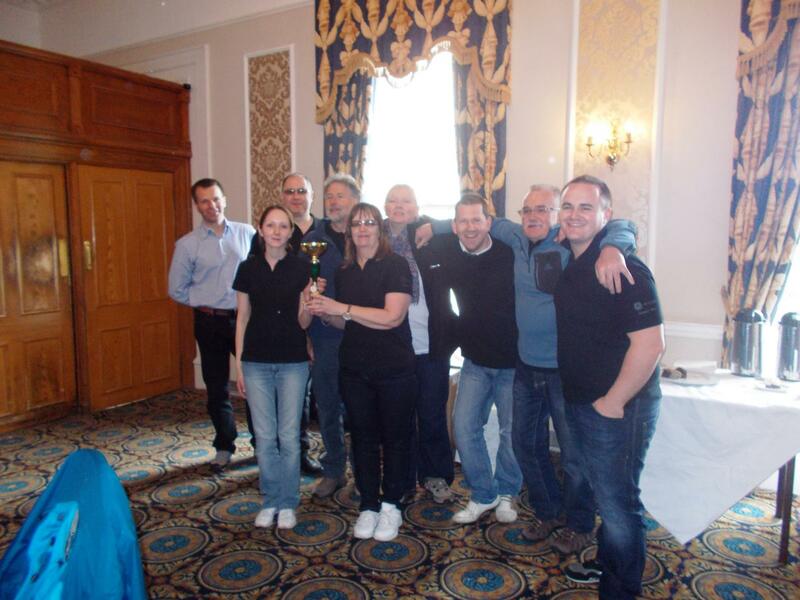 In first place with a score of 1893 it goes to Passion Flower with great all round team work to win the trophy. A big thanks to Gill for organising the day and we hope to see you all soon. "Gillian, Gillian, Gillian - where did it all go wrong ? Dont worry -Tea and Cakes will put it all right ! Gerry - yet another Win for you and your team - Thats why they pay you the Big Bucks ! Top day with GE Oil and Gas at the beautiful Thainstone House Hotel and what a competitive bunch you all are - the photos say it all Hope to see you all again soon Stephen"